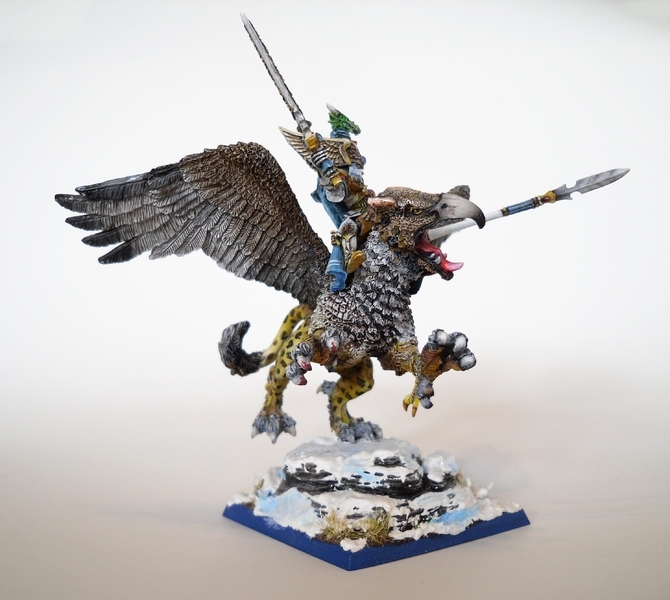 Converted griffon. 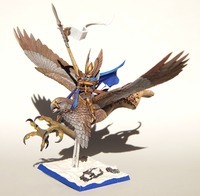 The griffon itself is from Karl Franz. The rider is Thyrion and the lance is from a silver helmet. 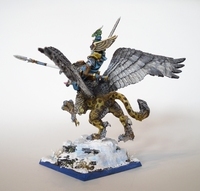 This is the griffon from the 8th edition starter box. A little thin, but still quite nice. 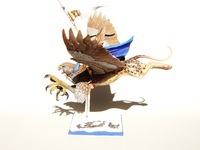 This is my blue dragon. The model is the GW forest dragon. 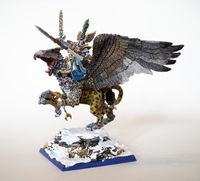 The rider is the dark elves cold-one rider champion. The lance was build of a wood stick with the addition of a green stuff banner. The model was my entry in the Golden Demon competition 2002 Germany. It did not score good there. But afterwards I used the model in a local competition and in the "Golden Kriegshammer" competition of the Warhammer portal. In both competitions it scored a first place gaining me fifty Euro in prices.